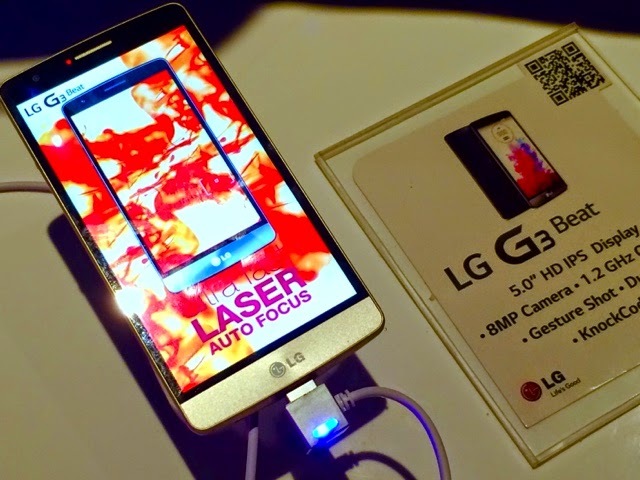 We're at te posh NEST Modern Table and Bar for the launch of the newest gadgets in the LG G3 Series, the LG G3 Stylus, the LG G3 Beat and the G Watch R. This actually completes the whole line of lifestyle devices in the G3 line which promises compatible performance and reliability much like the multi-awarded G3 at an affordable price range. The LG G3 Stylus obviously has its own stylus and uses this pen enabled feature to easily navigate thru menus, write notes, take photos and draw things too. LG also takes advantage of its proprietary Runbberdium stylus pen to slide onto its screen comfortably so you can use QuickMemo and tons of handwriting and drawing apps that's compatible with it. The LG G3 Beat on the other hand is form fitting, smaller but way more comfortable in the hand. Conpared to the 5.5 inch display on the Stylus, this one for the Beat has HD IPS at 5.0 inches, best in class. Since it's got a pretty rad display, battery life has been addressed with a 2450 mAh battery. It's got very good aesthetics, corners are beveled, curved sides, perfect on the grip for those who want a smaller profile. Mind you, both Stylus and Beat has 8MP front and 13 MP front and back cameras. It also comes in 3 different colors. 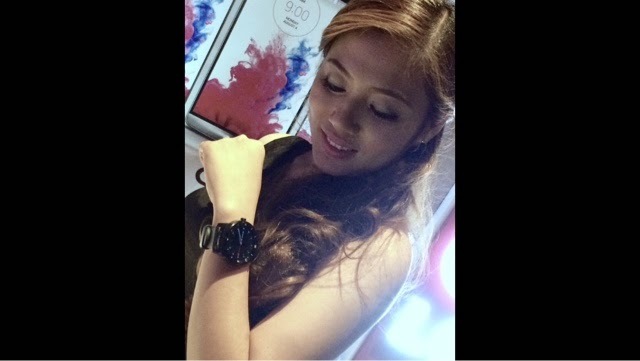 This manly looking timepiece called LG G Watch R looks so good on me. The thing also changes faces so you won't run out of looks even when you change wardrobes. You can use it for fitness applications, location based ones, text, email, music, and a lot more. 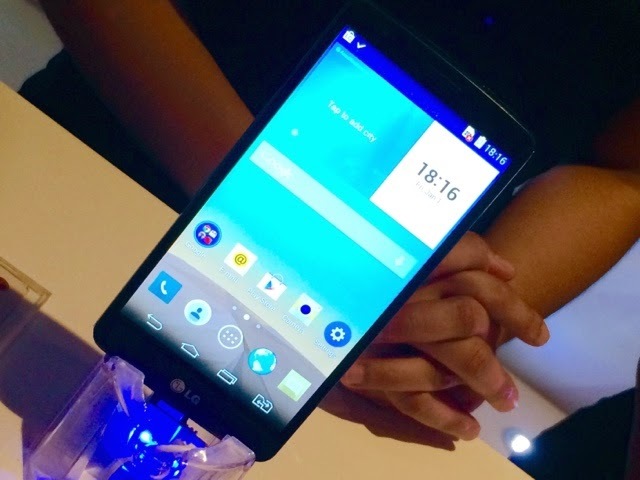 It can also work with third party android devices (since it's Android Wear) and LG phones released in the market. It's a little hefty though at 13,990. 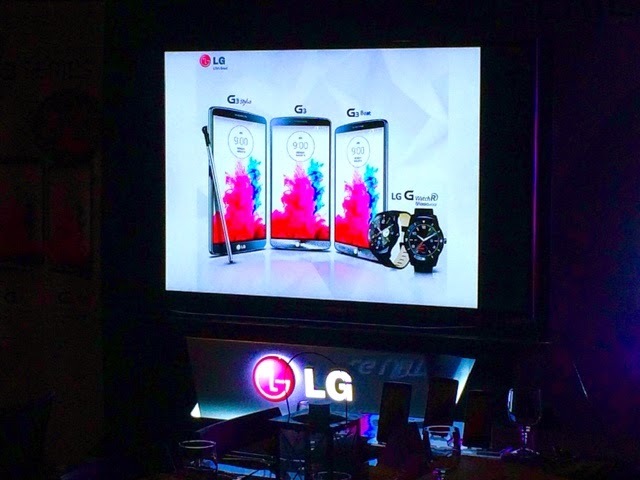 Jay Won, VP of LG Philippines Mobile Division says "We want to end 2014 with a bang by introducing these innovations to the Philippine market this last quarter. For us, Simple is the new Smart Experience. 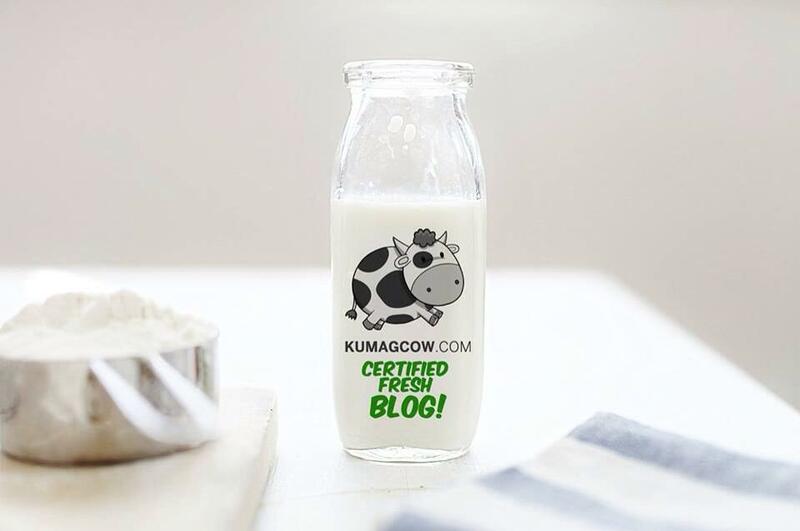 It's never too late to have one of tour own this Christmas." Some lucky raffle winners with Kiefer Ravena and LA Tenorio. 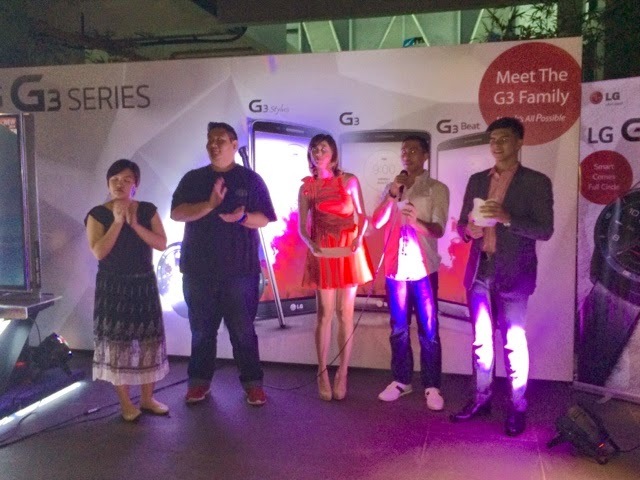 For those who want to experience the LG G3 Series, please visit their channels on Facebook: LG Mobile Philippines, @LGPhilippines on Twitter and Instagram. I must say, I'm more impressed with the watch, but the stylus is perfect in terms of size.